You are at:Home»Culture»Notes on News: Are gaming remakes becoming the latest cop-out? As excited as I am about the release of Crash Bandicoot: N-Sane Trilogy being released in June, I can’t help but feel it heralds a new era of lazy development in gaming. 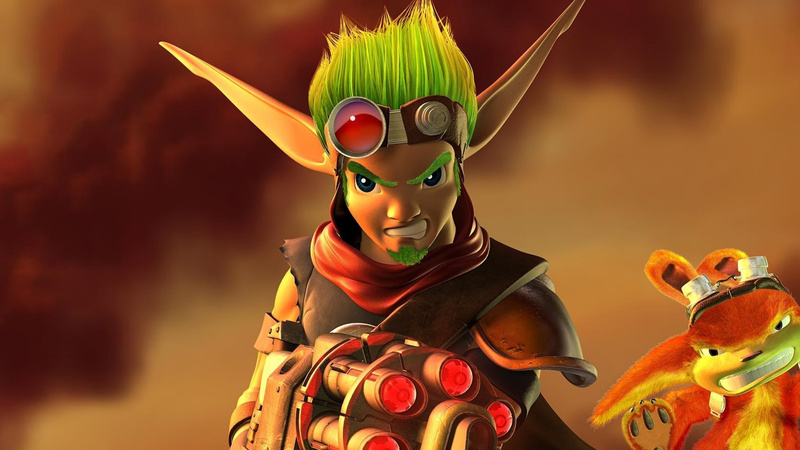 The announcement today that Jak and Daxter: The Precursor Legacy, Jak II, Jak III and Jak X: Combat Racing are all being re-released for the PS4 via the PlayStation Store download market later this year seems to confirm this theory. By this, I mean that more often companies are now looking to just reboot, or re-release classics from the archive, rather than developing brand-new exciting ideas. I am as excited as anyone to play Crash Bandicoot: N-Sane Trilogy when it is released shortly, but I feel it might have been more successful to create a brand new Crash Bandicoot game. The original games were iconic, yes, but with the power of the brand of Crash, or Jak and Daxter, you sense they really could create something new and special using new machinery and gaming mechanics rather than falling back on older, reliable concepts. Although this gaming news is exciting, and opens up a much-beloved franchise to a new era of fans, it does raise questions as to why PlayStation didn’t bother exploring backwards compatibility with the PS2 and PS3 when developing the PS4, and more recently the PS4 Pro. Obviously, it was done as a money-making exercise, just to re-release popular games once again, in new ‘remastered versions’- usually also containing the original version’s pricey separate downloadable content. For those that go ahead and buy the original, plus the DLC when it is first released, it’s something of a slap-in-the-face to see the same game released once more for the latest console just one year, or even six months later. To their credit, Naughty Dog have genuinely innovated in the market in the last few years, most notably with their incredibly successful Uncharted series, which is set to continue this year with the spin-off Uncharted: Lost Legacy. Despite this, the announcement that both Crash Bandicoot and Jak and Daxter are both set to be rebooted this year does perhaps raise questions as to where they stand in the longer term in regards to innovation. They certainly aren’t doing the industry any favours considering there is a massive skills gap in terms of trained developers and employees. As remakes and remasters take considerably less time to develop and tweak than a completely brand-new game- obviously you don’t need to create storylines, characters to name a couple of things- you’d expect it to need less employees and workers being asked to work on it. As such, companies get smaller and more exclusive. Previously, companies might gamble on projects, and send smaller teams to develop ideas which may or may not succeed, even in some cases getting as far as releasing a game which might not make it in the modern market. Gaming equivalent of box-office bombs have become increasingly rare in the last few years as more and more companies become more afraid with experimenting. Some companies will still do this, but the major players like Nintendo, Sony and Microsoft have become increasingly wary for giving new ideas a chance. When you have established powerful brands such as Pokemon, FIFA, GTA, Legend of Zelda, Halo to name just a few, you become even more wary of a big-budget flop or failure. An established brand certainly isn’t a fail-safe mechanism to ensure that a game is successful- recent examples such as SEGA’s Sonic Boom, Sonic: Rise of Lyric and Sonic 06 all fall into this category. It is safe to say the iconic blue hedgehog hasn’t aged well in that aspect. Despite this, there is a worrying trend-line that companies are becoming less comfortable with creating new ideas. Although this seems okay at the moment, it seems less likely that in the future innovative new ideas will be coming out in the future. With gaming companies being more interested in profiteering rather than providing good quality games for the fan-base, less and less unique and new ideas are coming to the fore. With sequels and prequels dominating new releases, one-off ideas are quickly going out of fashion in gaming, and soon might disappear altogether.